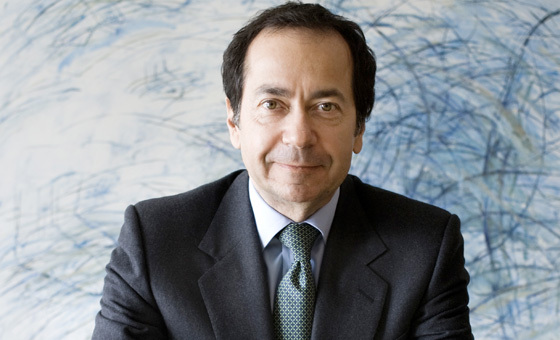 John Paulson's hedge fund firm Paulson & Co has been active in shares of NovaGold Resources (NG) yet again. They've just filed an amended 13D filing with the SEC revealing they've purchased an additional 4.5 million shares. You'll recall that we recently detailed how Paulson had been buying NovaGold and how the company has plans to spin-off NovaCopper. The hedge fund has continued to buy and now owns 34,563,518 shares of NG, or 12.4% of the company. The latest disclosure was made due to portfolio activity on April 3rd. They made various purchases at the beginning of April, the largest of which were: 1 million shares at a price of $7.17, 500,000 shares at a price of $7.01 and 586,500 shares at a price of $6.82. The filing says that Paulson has paid $209,652,160 to acquire their collective stake. For more from this hedgie, check out background on John Paulson's gold fund. Per Google Finance, NovaGold Resources is "a precious metals company engaged in the exploration and development of mineral properties in North America. The Company has a portfolio of mineral properties located in Alaska, the United States and British Columbia, Canada. The Donlin Gold project in Alaska is held by a limited liability company owned equally by wholly owned subsidiaries of NovaGold and Barrick Gold Corporation (Barrick). The Galore Creek project is held by a partnership owned equally by wholly owned subsidiaries of NovaGold and Teck Resources Limited (Teck). The Ambler project in Alaska is wholly owned by NovaCopper Inc., a wholly owned subsidiary of NovaGold." Paulson & Co was recently named as one of the top 10 hedge funds by net gains since inception.